This is a very simple but delicious fish fry recipe that goes well with any type of meal. Wash and clean the fish pieces; make incisions and pat dry. Take a bowl; add turmeric powder, red chilli powder, tamarind extract, salt and a tsp of oil. Apply this masala on both sides of the fish; allow to marinate for more than a hour. Heat oil in a flat bottom pan, add some curry leaves and place the fish. Serve hot as a starter or accompaniment to rice with fish curry. Instead of tamarind extract you can also use lemon juice or vinegar. This recipe is suitable for any small fish variety. Adding curry leaves is optional but i preferred to add because it gives a nice flavour to the fish. 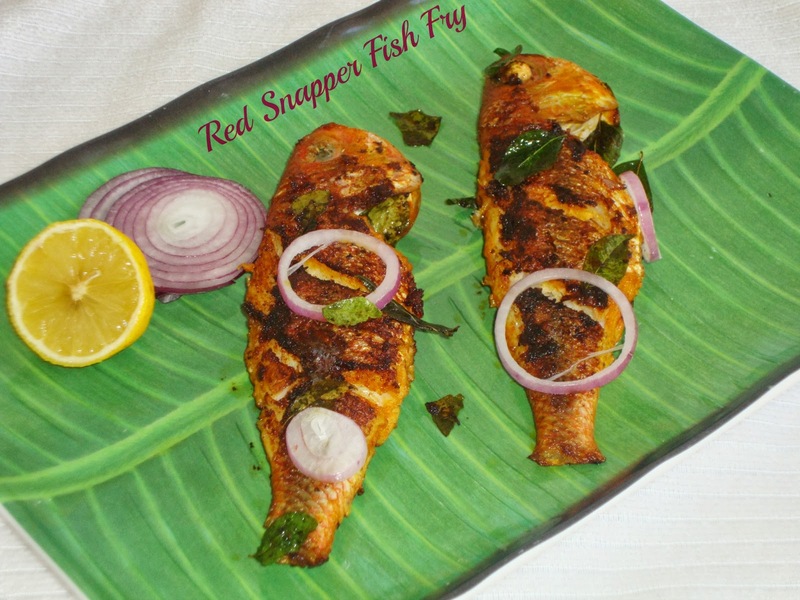 Mouthwatering here..My H's favourite fish fry. Thanks for sharing... Such a nice information about the Frozen Meat Poultry!